Waterloo is a historical town in Belgium. The European headquarters of MasterCard International are located here. Several banks and multinational retail chains are situated in this Belgian city. 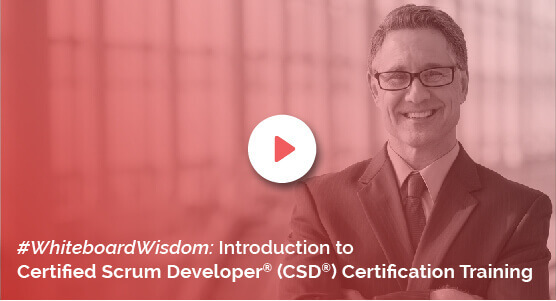 KnowledgeHut will shortly be launching some workshops on CSD certification in Waterloo. The main aim of the CSD training in Waterloo is to keep the local IT community ahead in the learning curve. Learn the essence and basics of Scrum in this three-day workshop. Participate in classroom discussions on the roles of Scrum, ceremonies and the different types of Sprint. Join the CSD course in Waterloo and understand Acceptance Test Driven Development and Behaviour Driven Development and also learn to code in BDD. In the workshop of CSD certification in Waterloo, you are also taught the differences between ATDD, BDD, and TDD. Understand the concepts of Gherkins, Finnesse, and Selenium in these workshops. Register for the CSD training in Waterloo and also pick up advanced level concepts on Agile architecture and design, design patterns and many other subjects. The CSD course in Waterloo is a five-day workshop divided into two parts. In the first part which will run for a couple of days, all the participants will be taught basic level principles of Scrum, its roles and ceremonies. Participants who already have a CSM credential can take part in the three-day course which deals with advanced Scrum and Agile principles. The exam fee of this Certified Scrum Developer training in Waterloo is inclusive of the overall cost of the workshop. After the successful completion of the Certified Scrum Developer certification in Waterloo, all the participants are given a two-year membership in the Scrum Alliance network.